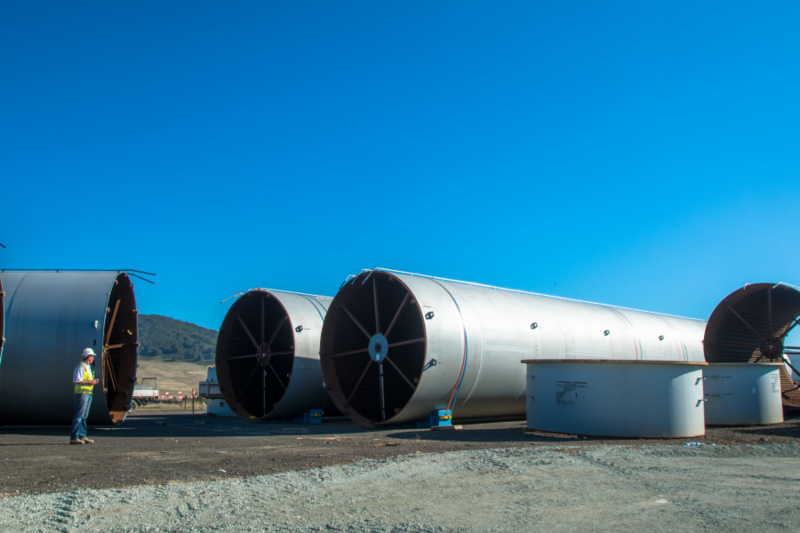 Costin Roe Consulting has congratulated Lipman Pty Ltd on winning a prestigious 2016 MBA Excellence award for the Veolia Woodlawn MBT facility construction at Tarago, NSW. 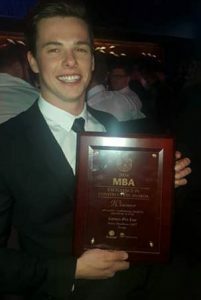 The award for site safety on a commercial project with a construction value of more than $50M is one of several sought-after industry credits recently received by Lipman, the firm also winning 2016 awards for works at 580 George Street, Sydney, Trinity Grammar School Aquatic Centre, and ARV Lober Square Redevelopment Stage 2 (housing) in the annual Master Builders Association (“MBA”) honours list. 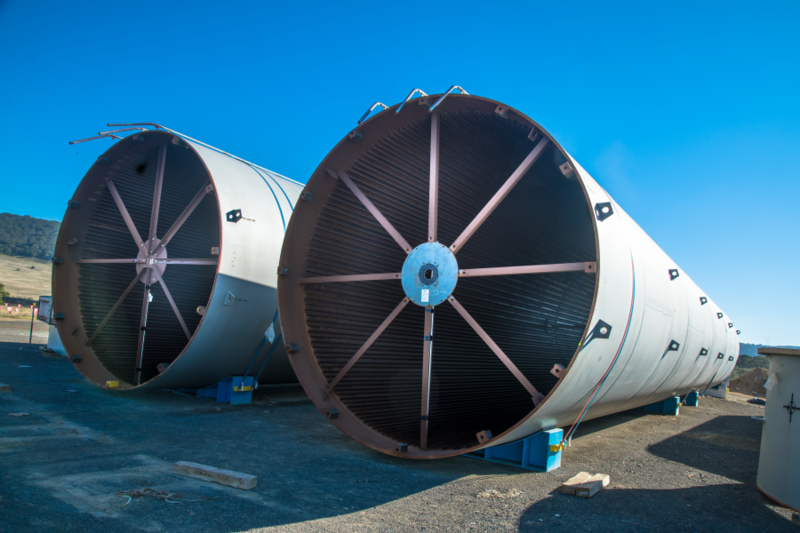 Costin Roe Consulting successfully completed the civil and structural engineering requirements for the Veolia Woodlawn MBT facility project on appointment by Lipman. “It’s an honour for our firm to have been involved in the extraordinary environmental achievement represented by the Veolia Woodlawn MBT facility, and to work with Lipman for their uncompromising commitment to both quality of construction and site safety throughout construction,” said Grant Roe, managing director of Costin Roe Consulting, in response to the announcement of Lipman’s win for Woodlawn. 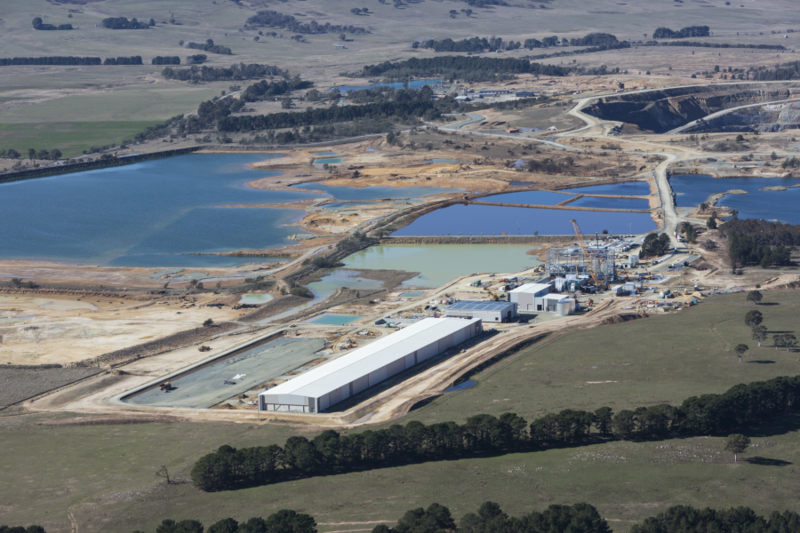 Costin Roe Consulting devised the civil engineering strategy to support a proposal by DEXUS to continue industrial development in a former quarry. The report authored by Costin Roe director, Mark Wilson B Eng (Civil) B Surv ME CPEng, would assist to facilitate completion of the original master plan for the site. Greystanes Estate is a 156-hectare area within the SEL (Southern Employment Lands) precinct of western Sydney, positioned between the cities of Parramatta to the east, Blacktown to the north, Penrith to the west, and Liverpool to the south. The majority of the eastern portion of the SEL has been developed into a high-quality industrial and business park, valued by corporate occupants and employees for its proximity to public transport, cycleways, and the M4, M5, and M7 motorways – the Sydney CBD only 33 minutes’ drive away. 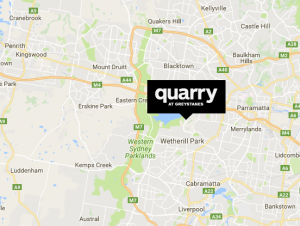 Greystanes Estate has been publicly renamed “Quarry at Greystanes” since the first stages of development were completed. 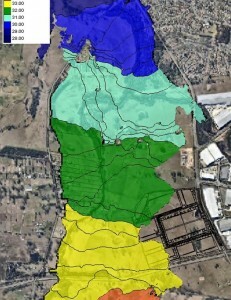 Map showing Quarry site in relation to major cities of western Sydney. DEXUS is one of the largest listed owners and managers of industrial properties in Australia. 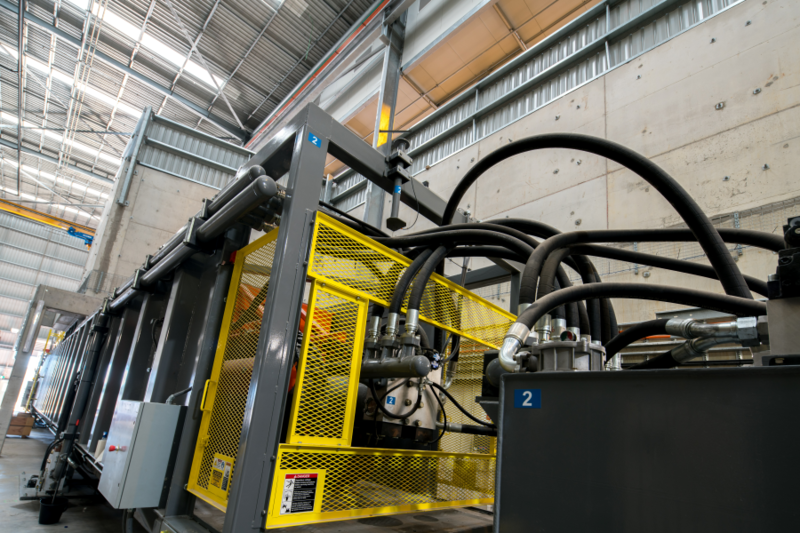 Known for working in partnership with their customers, and construction specialists, DEXUS’ mission is to deliver industry-benchmark property solutions tailored to the specific needs of manufacturing, logistics, and warehousing organisations. 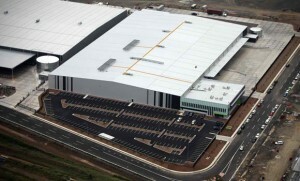 Existing DEXUS developments within Greystanes Estate include a distribution centre of 20,000 m² with associated office spaces of 1000 m² and 500 m², completed in 2012. 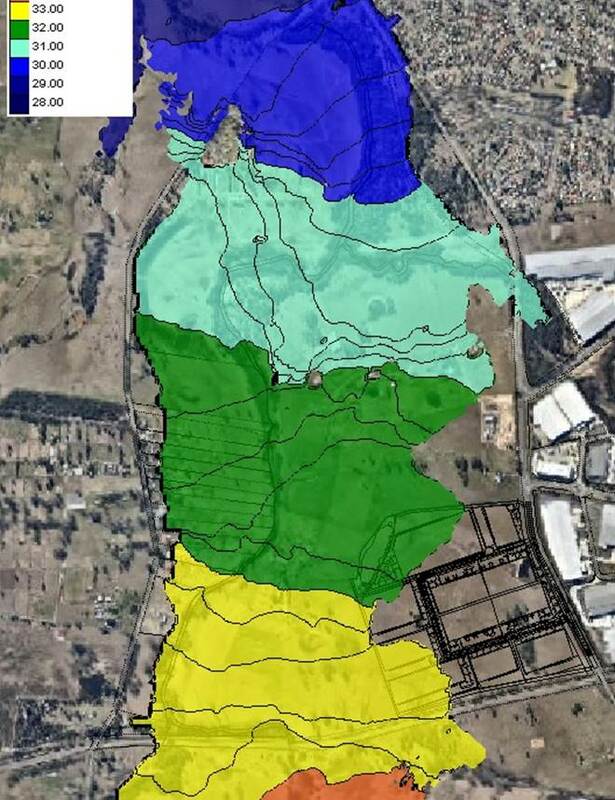 The 2016 proposal by DEXUS would represent the final parcel of land in the industrial precinct of the Estate to be developed – an area of 25.6-hectares on the western side referred to as “Lot 18” in documentation and called “Quarry West”. As the final stages (5 and 6) of the approved concept plan for the entire site, development approval for Lot 18 would bring to completion the rehabilitation and re-purposing of the large open-pit quarry which Greystanes Estate once was. 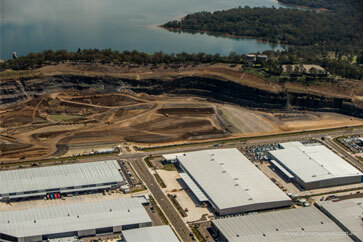 The quarry had provided crushed rock and blue metal for road and building construction across Sydney. 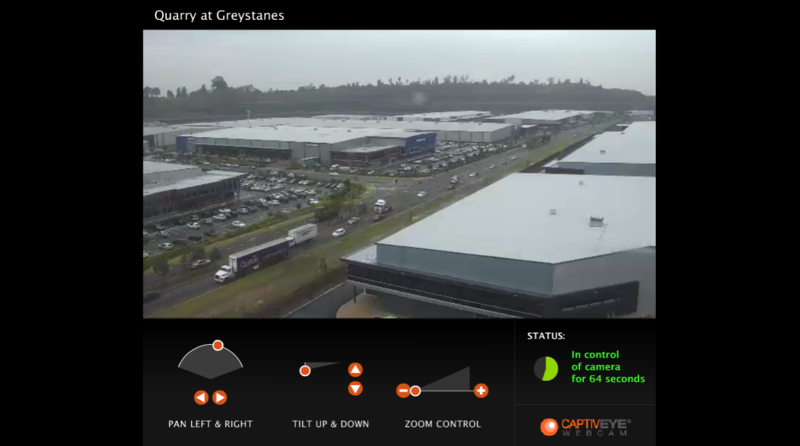 Watch live webcam of the Quarry industrial centre at Greystanes. 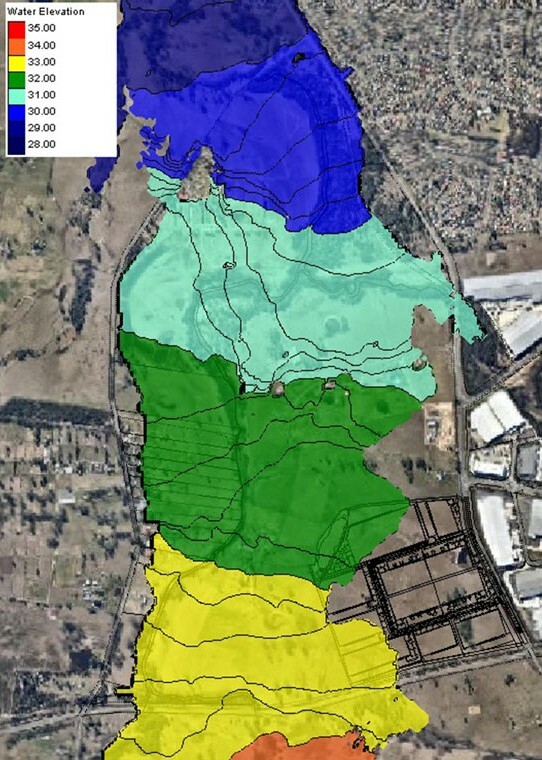 Costin Roe Consulting has been involved with previous developments at Greystanes Estate including industrial complexes for Solaris Paper and Symbion Health, and was commissioned by DEXUS to report on the civil engineering and storm-water management aspects associated with the proposed subdivision and development of Lot 18. 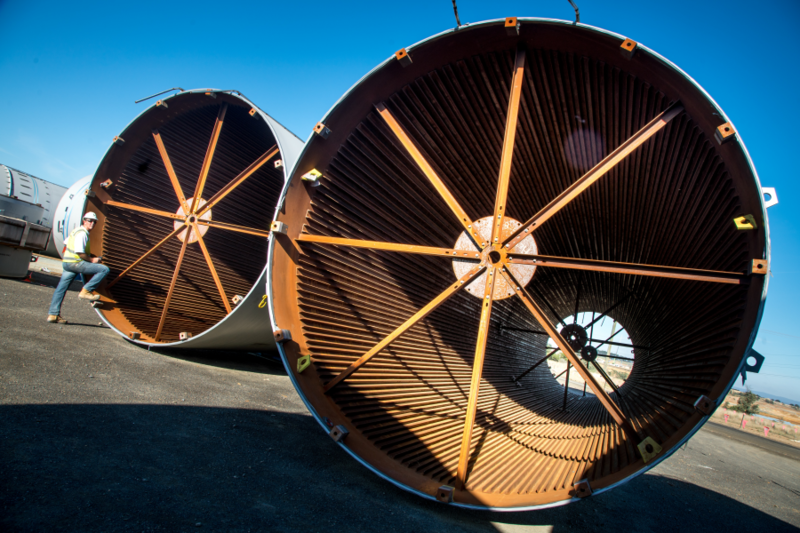 Approval to proceed would eventually culminate in the construction of several large-scale industrial buildings and depend on successful completion of numerous subdivision and infrastructure requirements. 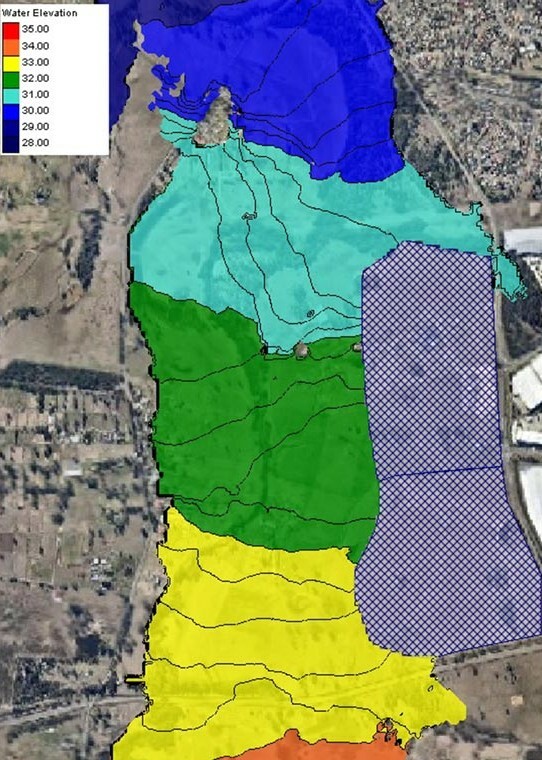 Classified as a “major project” for approval with NSW Department Of Planning and Environment (DoPE), Lot 18 also needed to meet the engineering and planning requirements of both Holroyd City Council and Blacktown City Council, within the context of the approved Masterplan Strategy for the Greystanes SEL, the expansive area of Lot 18 straddling the two council jurisdictions. 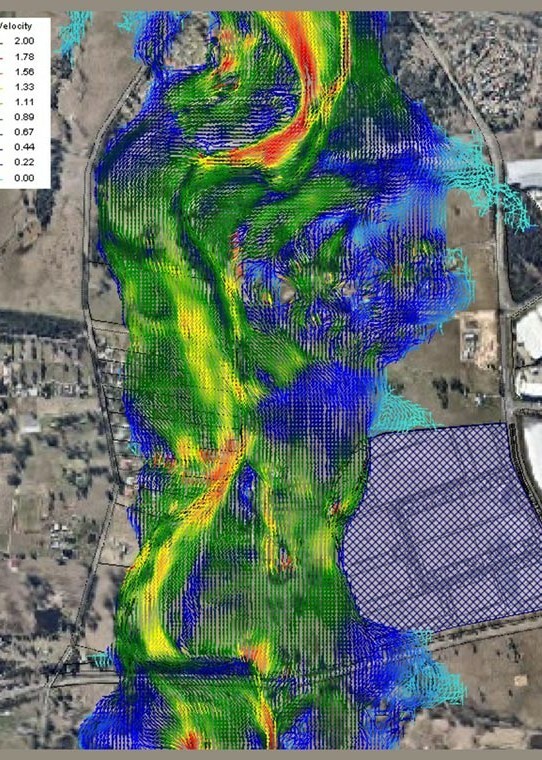 The report and engineering design by Costin Roe Consulting would refer to earlier studies and reports made in relation to the whole Greystanes Estate site by engineering firms including PSM, PB, and GHD; the Landcom publication Managing Urban Stormwater, Soils and Construction (1998) – The Blue Book; the Institution of Engineers, Australia publication Australian Rainfall and Runoff (1988 Edition), Volumes 1 and 2 (AR&R), and the NSW Department of Environment and Conservation document Managing Urban Stormwater: Harvesting and Reuse. View of earthworks underway at DEXUS development site, Greystanes. Located on the eastern edge of Prospect Hill, extensive quarrying for approximately 100 years had left Lot 18 with an irregular, crater-like topography. 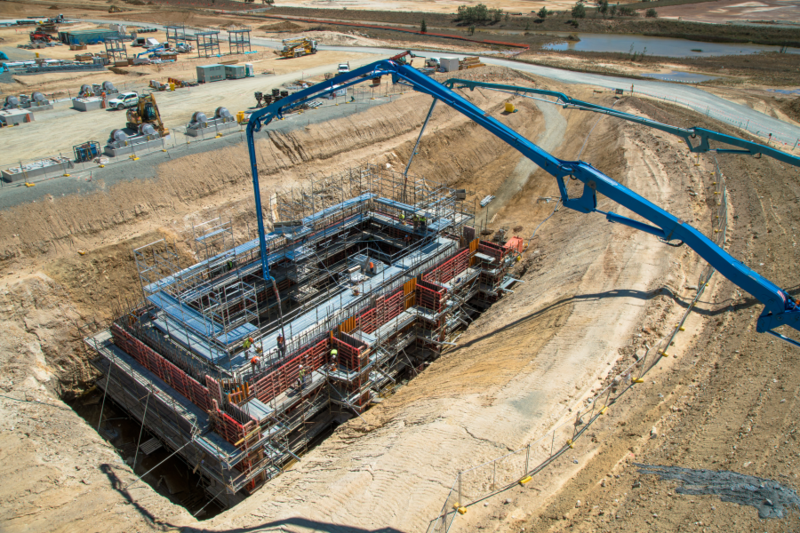 Historically, as part of quarrying operations, several areas of the site had been filled in an uncontrolled manner using a variety of materials at depths of up to 32m. The western boundary of the development area is formed by the walls of the former quarry and these walls extend some 40-50m above the proposed developed site levels. One section of walling had partially collapsed due to a landslip that occurred decades ago. From 2001, however, there had been controlled filling of the site at certain intervals, and of the four areas subjected to uncontrolled filling during the site’s long operational history, three areas were previously determined as suitable for industrial loading without additional working. 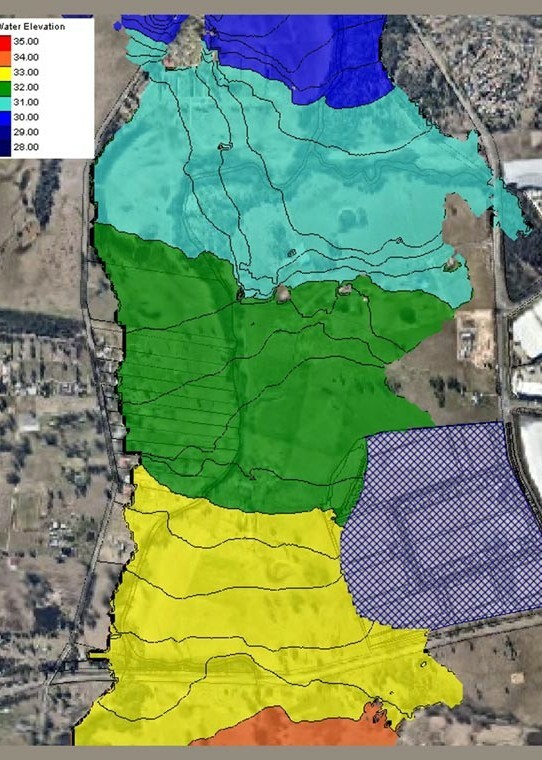 Mark Wilson determined that an additional 500,000-600,000m³ of fill would be required to bring the land to proposed levels through earthworks to be undertaken by CWJ Civil on behalf of Boral Pty Ltd, operators of the former quarry now helping to facilitate easier development by DEXUS, with roughly half of this requirement able to be met through the redistribution of suitable fill available on-site. 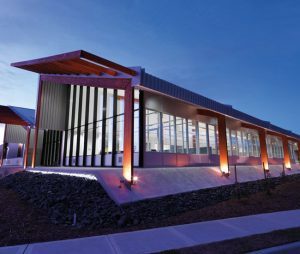 Symbion Health facility developed by DEXUS at Quarry Greystanes, civil and structural engineering by Costin Roe Consulting. 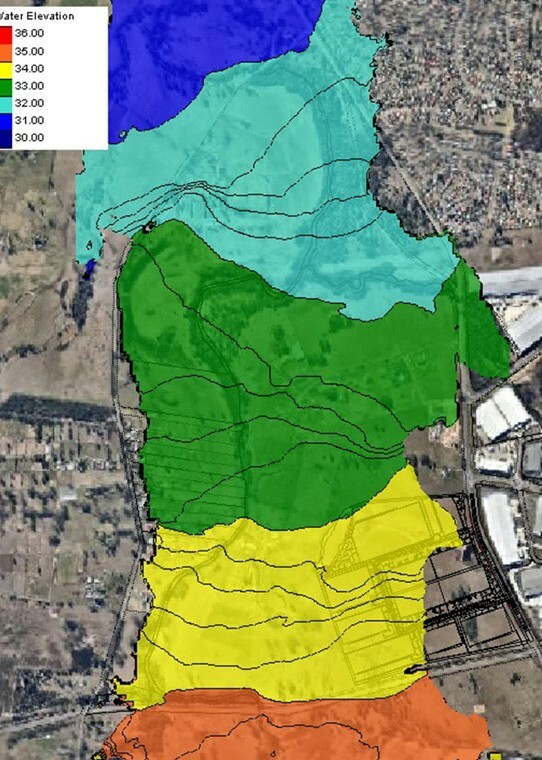 The objectives with the earthworks were to allow the construction of the large flat building pads required for industrial use, with building levels above the 1 in 100-year (“Q100”) average recurring interval (“ARI”) flood level; facilitate site access to the proposed development site from nearby Reconciliation Road and the proposed internal road network; drain the stormwater from the development site, and facilitate the eventual industrial land-use applications. The steep embankments formed by the former quarry walls on the western side of the site would be stabilised, and the subsided section also remediated. 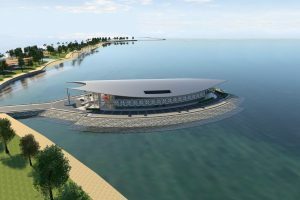 It was advised that the conditions of the site would need to be taken into account with building design. Pad footings would be suitable for foundations on controlled fill or rock, limited to a maximum safe bearing value, and piering would only be required to support buildings with high loads or tolerances over areas of uncontrolled fill. Comprehensive recommendations were also made by Costin Roe, in conjunction with the geotechnical consultants PSM, for the construction of slabs and pavements, site management requirements, erosion and sediment control, road widths and alignments, road pavement construction, and pedestrian facilities. 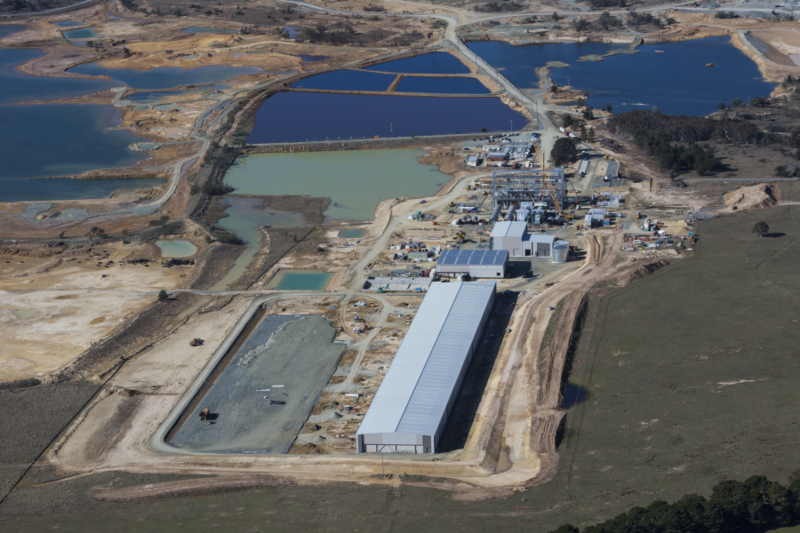 Solaris Paper facility developed by DEXUS at Quarry Greystanes, civil and structural engineering by Costin Roe Consulting. Prior to preparation for development by DEXUS the site had no formal stormwater management or drainage. 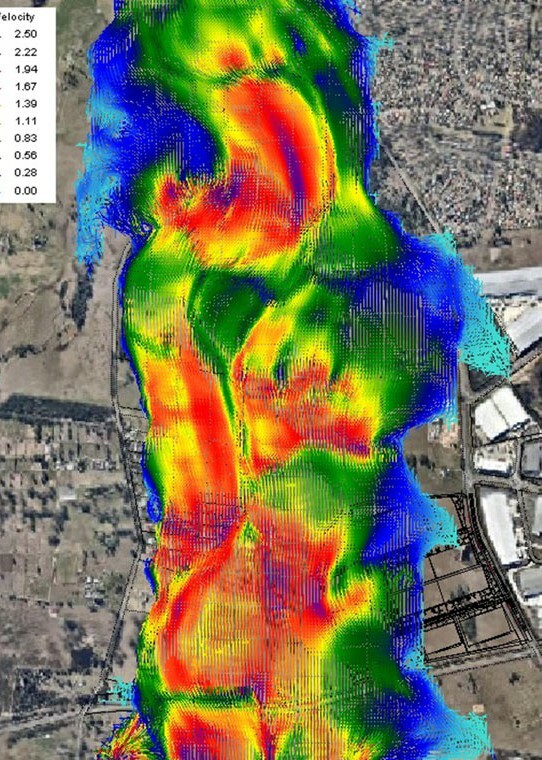 The design needed to incorporate the principles of Water Sensitive Urban Design (“WSUD”) to target the pollutants present in the stormwater so as to minimise the adverse impact these pollutants could have on the receiving waters, such as Prospect Creek. Collected roof water is generally free of pollutants, but a bio-retention system would be needed to address the gross pollutants, sediments, nutrients and hydrocarbons that are typically present in stormwater runoffs from car parks, roadways, and paved areas. Rainwater harvesting would provide for re-use as part of future individual building development applications and minimise the site’s future reliance on potable water supplies for purposes like flushing toilets and irrigating landscaped areas. 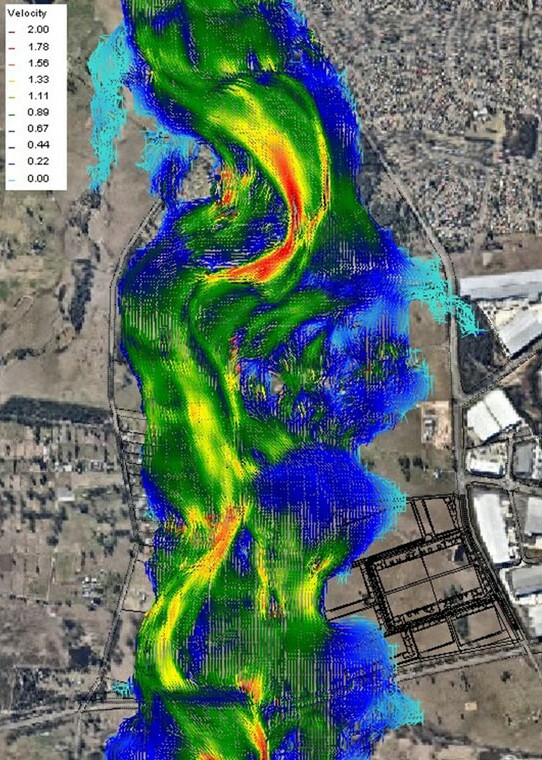 Regarding flood management, often an issue with industrial building development in some low-lying areas of Sydney, the development lots of the future Lot 18 subdivision would not be subjected to localised flash flooding, nor would the overall estate be affected by any larger regional flooding issues. Buildings would need to be set at a level 500mm above the Q100 ARI water level. 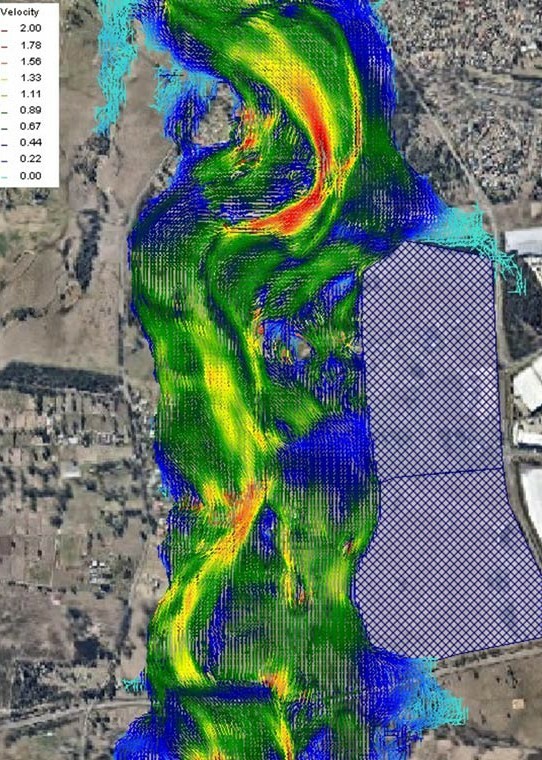 Assessment by Costin Roe Consulting confirmed that the overall perimeter drain design completed by GHD in the early planning stages would be able to contain the Q100 ARI storm flow. 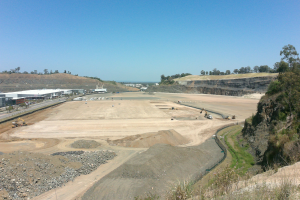 The perimeter drains were re-documented by Costin Roe and constructed as part of the Boral earthworks exercise once approval for the subdivision and preparation of the site for development was achieved. 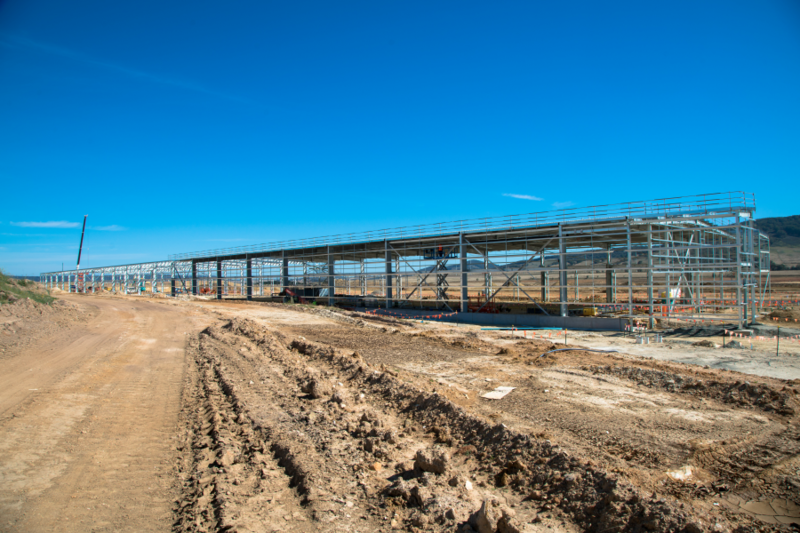 DEXUS has successfully constructed several facilities in the northern and western sectors of Greystanes Estate, Costin Roe Consulting being involved in either or both the civil and structural engineering. Using advanced BIM technology for all new development projects, Costin Roe Consulting can give clients and partners a look into the future of projects through ‘virtual reality’ simulations. Viewers can explore and experience constructions before they are built, simply by clicking a link. Take a test drive below. 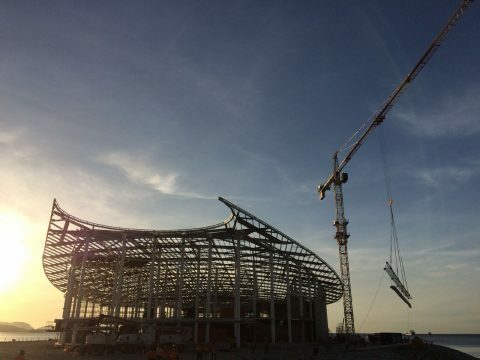 Costin Roe Consulting has been using BIM technology for decades. More recent advancements in BIM have allowed the real-time generation of virtual reality simulations directly from engineering design data. Any changes to the BIM data, such as a specified revision of the design, are automatically reflected in the 3D simulation in real-time. 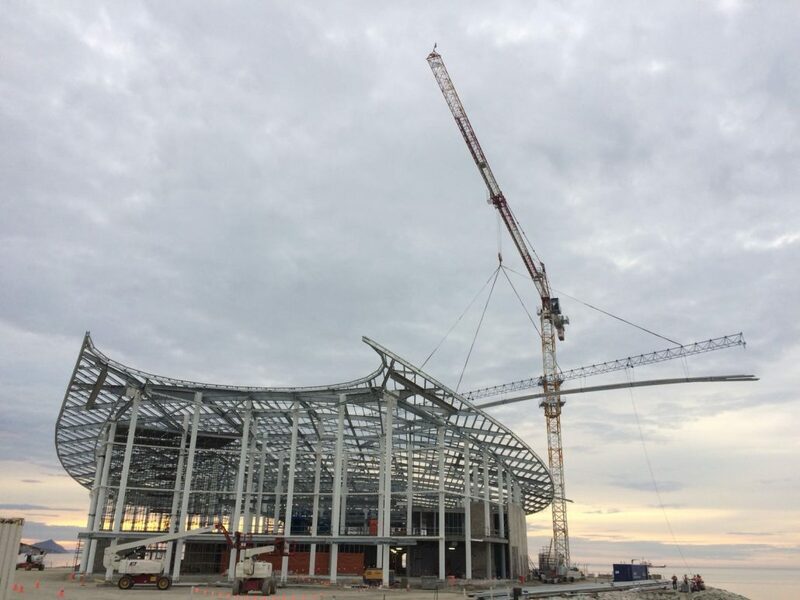 All aspects of the construction project – design, engineering, and collaboration with the client and other construction partners – are consolidated into one intelligent BIM model. 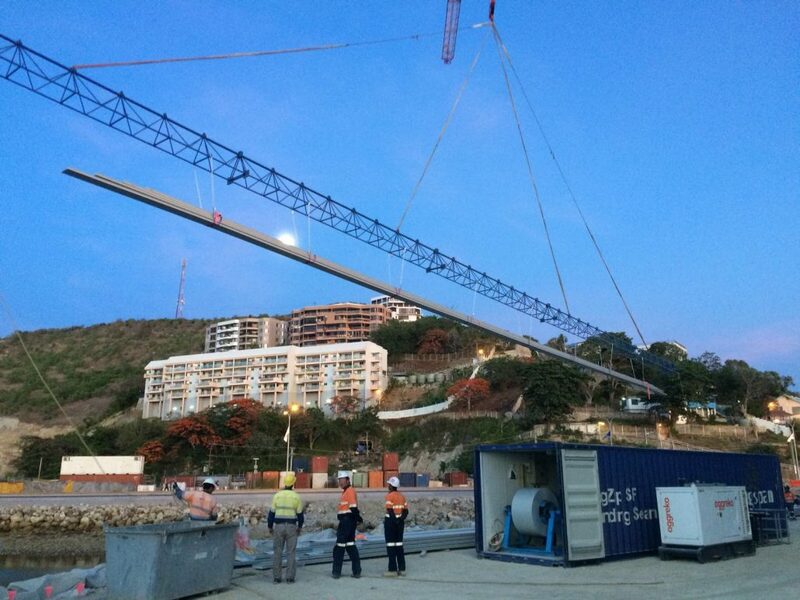 All participants and stakeholders are referring to the same, most up-to-date project engineering specifications and 3D design renditions – greatly increasing the speed and efficiency of communication, and minimising the risk of errors caused by redundancy, misinterpretation, or misinformation. Here you can see some virtual reality examples of actual projects using Costin Roe Consulting’s BIM system just by clicking the images below. For best results, use the Google Chrome browser. Spacial concepts are notoriously difficult to convey in words and figures, and only a relatively small percentage of the population has the ‘visual’ imagination skills needed to ‘picture’ a scene with reasonable accuracy from a written or oral description. The traditional rendering of artist’s impressions is a very time-consuming process, and costly whenever minor changes in design or specifications would call for the rendered version to be updated as a separate exercise. 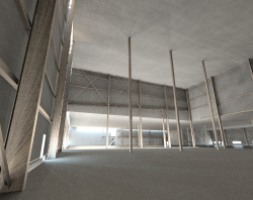 The advantages of Costin Roe Consulting’s BIM-generated virtual reality simulations extend far beyond the major technical demands of the design and construction phase of a project. The ability to ‘experience’ a building design off-the-plan can also assist with a plethora of detailed considerations such as the positioning of equipment including materials-handling automation, the planning of lighting, placement of signage, interior design of office fit-outs and reception areas, and even the promotion of properties to prospective buyers or tenants. With all information about the building and its components held perpetually in the BIM file, the budget forecasting and scheduling of future building maintenance requirements is made easier and much more reliable. 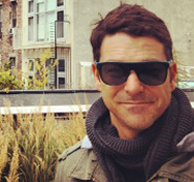 Would you like to know more about BIM and virtual reality? Give us a call – one of our Revit-trained engineers would be happy to show you some more virtual-reality examples and discuss how Costin Roe Consulting’s command of BIM could enhance your next industrial, commercial, or strata-residential development project.